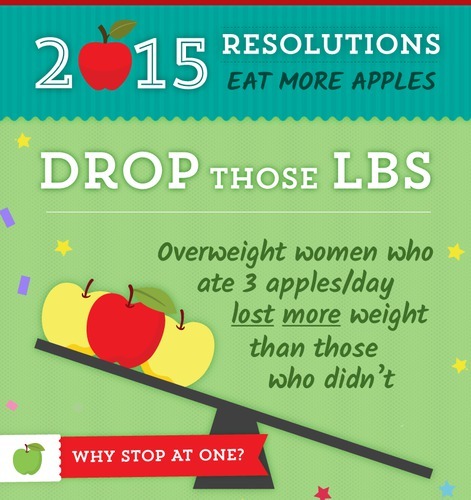 Make Your New Year's Resolutions, Stay with Two Apples a Day! YAKIMA, Wa. – January 2nd, 2015 – Sticking to your health-related New Year’s resolutions is hard, but eating more apples a day can make it easier, according to mounting research on the health benefits people realize when eating at least two apples a day.  Resolving to lose weight in 2015? Studies have found overweight women who ate three apples a day lost more weight than those who didn’t. 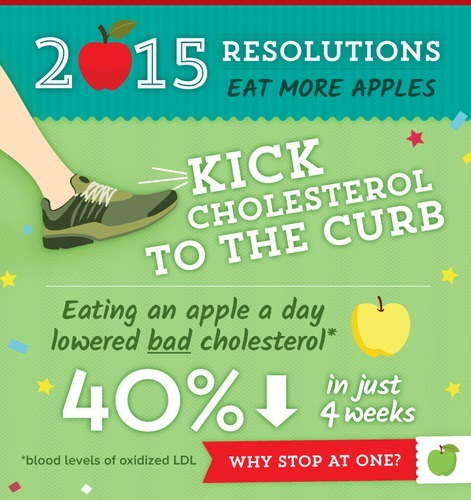  Committing to cutting your cholesterol count this year? A Florida State University study reports eating two apples a day for six months can reduce artery-blocking LDL by 23 percent. “Plus, unlike the often-expensive fitness gadgets, diet books and club memberships we purchase to keep fit in the New Year, apples are always affordable, portable, easy to find and fun to mix into any nutritious meal,” Ehlis added.  Resolving to keep muscles healthy? 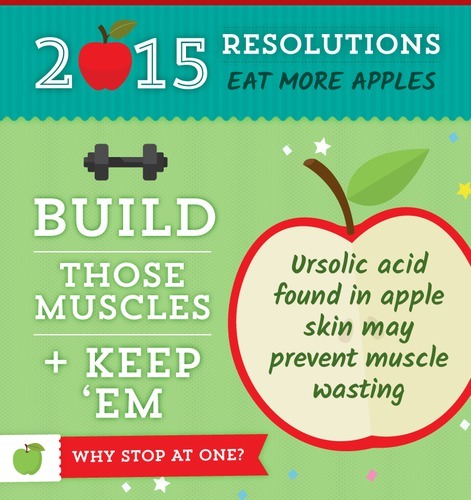 Studies find ursolic acid found in apple skin may prevent muscle wasting.  Wanting to get that beach body by springtime? 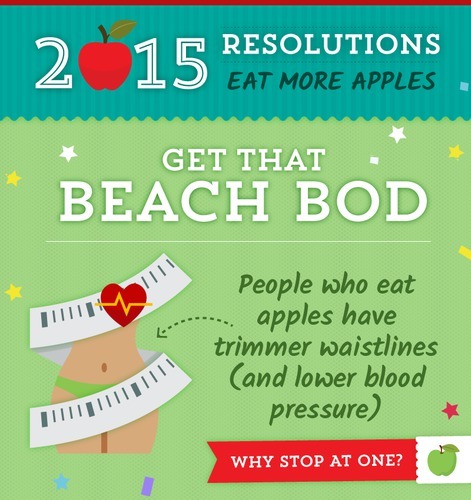 People who eat apples have trimmer waistlines (and lower blood pressure).  Building a better immune system? Research from University of Illinois suggests soluble fiber, like pectin from apples, may strengthen the immune system.  Working toward better bone health? A study from American Journal of Clinical Nutrition suggests older women who eat plenty of fruits (including apples) may have a lower chance of bone fractures.  Keeping the cardiologist away? Ohio State University reports eating one apple a day for four weeks lowered blood levels of oxidized LDL, the “bad” cholesterol, by 40 percent. https://www.facebook.com/BortonSonsInc?ref=hl or blog USApple’s at www.USAppleBlog.org for the latest.